A snowman that is completley obsessed with summer? There's only one! You can find him in Arendelle. It's Olaf! He loves warm hugs and basically everything that has to do with summer. He dreams of swimming in the ocean, rolling around on the beach, and sunbathing. 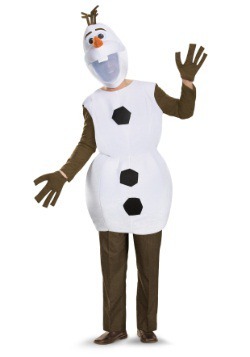 Nobody will tell Olaf that he can't do any of those activities because he's made from snow. Nobody wants to crush the rambunctious little snowman's dreams. 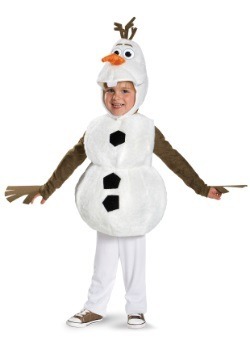 Although Olaf is made out of snow, he has a lot of feelings. He knows a thing or two about love. He teaches Elsa all about it and then she is able to realize that she always had love in her life: the love of her sister, Anna. 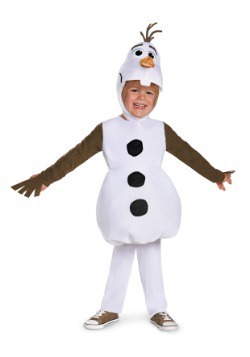 Now you can look like the chipper little snowman that everyone loves when you dress your little one up as Olaf. 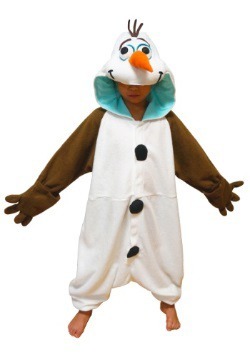 The Olaf costume and character hoodie has all of Olaf's distinct features. For example, they have the buck teeth, twig hands and hair, and the classic carrot nose! 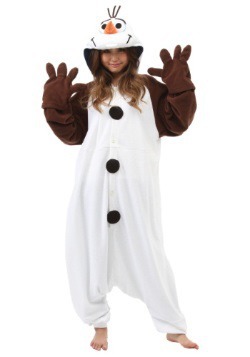 Fans of Frozen will love being all warm and snuggled up in these cool costumes and hoodies.